We commonly get asked, “How do you properly store a waterbed mattress?” To begin with, you must drain the waterbed properly and that means getting most of the water out of it. One way to do that is to use a venturi pump or electric pump. 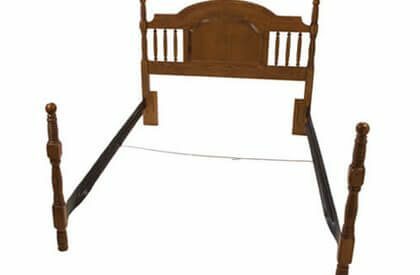 There are various waterbed pumps available which are the best way to completely drain a waterbed mattress. First, burp the air out, connect the pump, and let it drain the mattress absolutely as far down as possible. If this is done the mattress should be vacuum packed looking like a package of beef jerky. 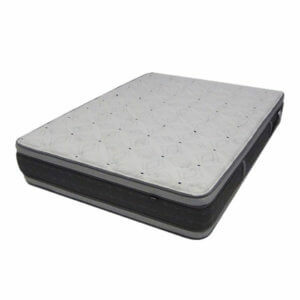 The vacuum holds the baffling in the mattress in position so it will not shift around when handling and moving. 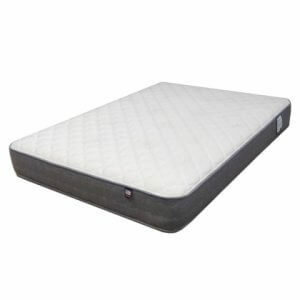 As soon as you determine the mattress is drained, disconnect the pump and immediately cap and plug the mattress. Do not allow air to refill the mattress. It is vital to maintain most of the vacuum. Besides holding your baffling in place, it will decrease the chance of your mattress turning sour as air, water, and bacteria react to each other. We recommend putting a bottle of waterbed conditioner, such as blue magic in the mattress several days or more before draining. It is always a good idea to clean the mattress with a good vinyl cleaner before putting it into storage. STL Beds is cautious about recommending the storage of water bed mattresses because the vinyl may become brittle with age and crack when you unfold it due to plasticizer migration. Always store in a dry dark location and be cautious of places like basements, storage units, or any outbuilding with great temperature contrasts and high humidity. This seems to encourage bacteria growth, mold, and mildew in or on the mattress. Oh yes another thing you need to be aware of is predators, varmints, and critters like mice that are notorious for and love to chew on vinyl water mattresses, so try not to store your water mattress in a woodshed, garage, and barn. I have also seen the family cat I assume after the mouse, walk across mattresses left unboxed or unprotected. 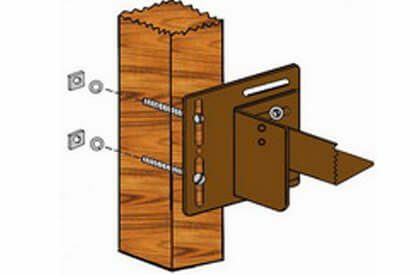 Their claws can leave holes in them as well, so the proper storage area is just as important as the proper storage technique. Wrap and protect your mattress to keep it from being exposed to the elements and the things that can and might damage your waterbed mattress while it is being stored. Don’t forget your heater. STL Beds recommends storing the heater pad in a flat position. Do not roll it up, especially if it is getting old. It is not unusual to see waterbed heaters fail after being moved and handled, so remember to handle it with care as well. i have stored a waterbed mattress for a little over a year. upon unfolding it i discovered much mold and mildew. i have removed it with sporiclean and in some areas, bleach. small black spots are still visible on the vinyl. can this mattress likely still be used or should it be thrown out? I think this is an appropriate time to roll out the old cliche, an ounce of prevention is worth a pound of cure. I to have seen water-mattresses get this bad. I have never successfully been able to get the vinyl clean. (Meaning the black staining removed) I have not talked to the engineers about this, but my best guess is that it is because the vinyl is porous.